I liked the staff very nice and always kind. Mostly the guy that do the night turn. 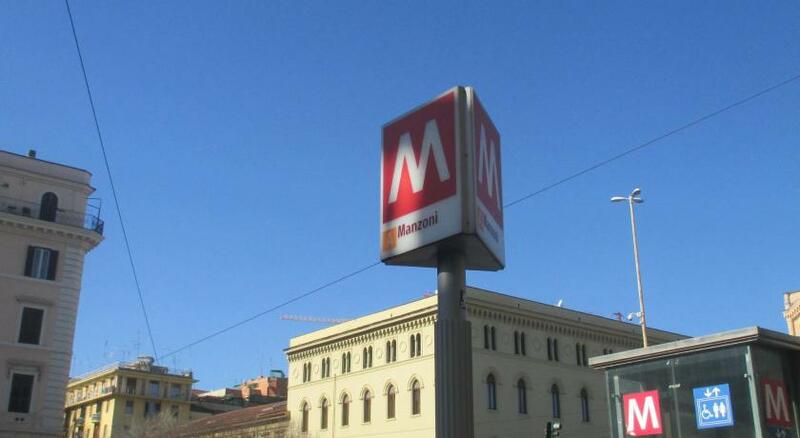 It is close to the metro. It is less than 10 minutes walk from main station. Rooms are very tired but clean and functional. Bed and shower very good. Great value if you are out all-day and are just sleeping there. Perfect location. Comfortable beds. Clean premises. The room was spotless. Air con worked. 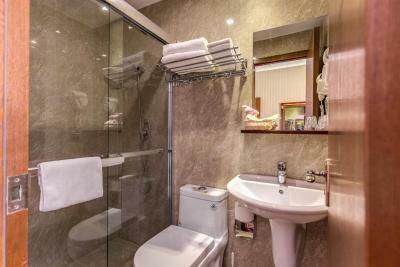 Bathroom nice. Location ideal. 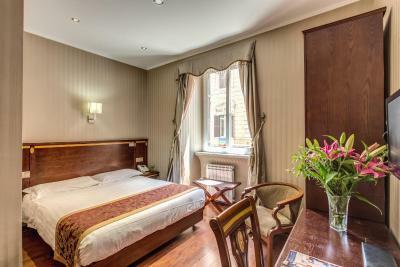 By far the most affordable hotel we stayed at during a 3 week trip to Italy. The room was clean, the A/C worked and there was a bar fridge in the room. 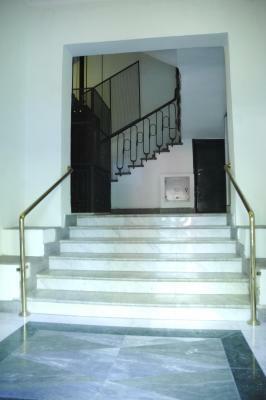 The location is great; a short walk to the Coliseum and Forum, steps from the metro station. 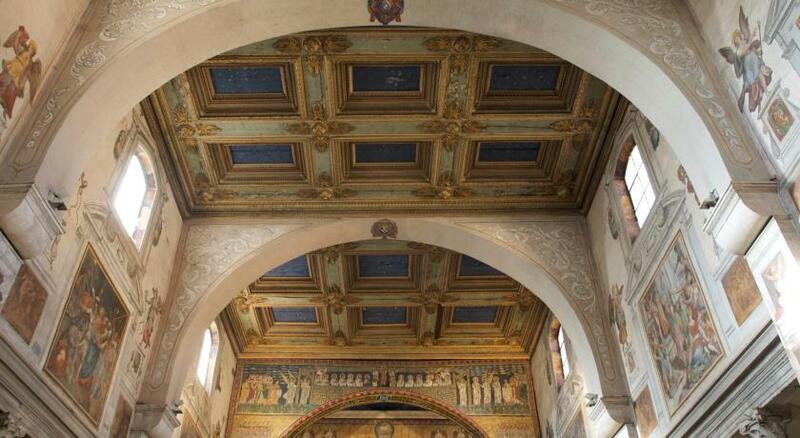 One of our best sellers in Rome! 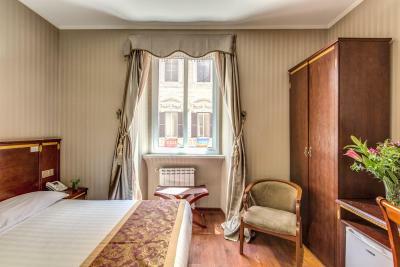 Less than 350 feet from Vittorio Emanuele Metro Station, B&B Drago D'Oro is only a 10-minute walk from Termini Train Station. 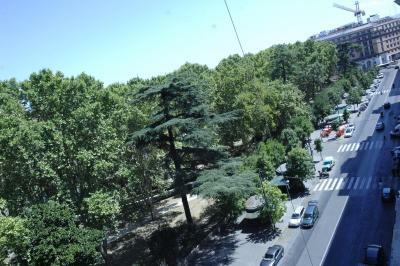 It offers air-conditioned rooms with city views. Rome’s Colosseum is 0.6 mi away. 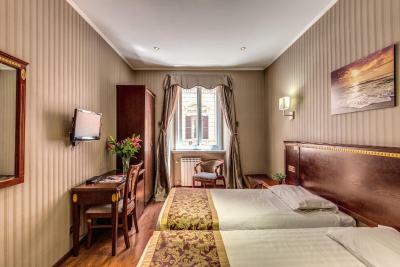 With free Wi-Fi, classic-style rooms at the Drago D'Oro feature a mini-bar, safe and TV with satellite channels. 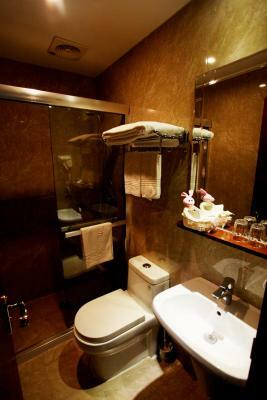 The private bathroom is complete with a hairdryer, toiletries and slippers. A sweet Italian breakfast, including a pastry, cappuccino and juice, is served at the bar nearby or at the adjacent partner property. 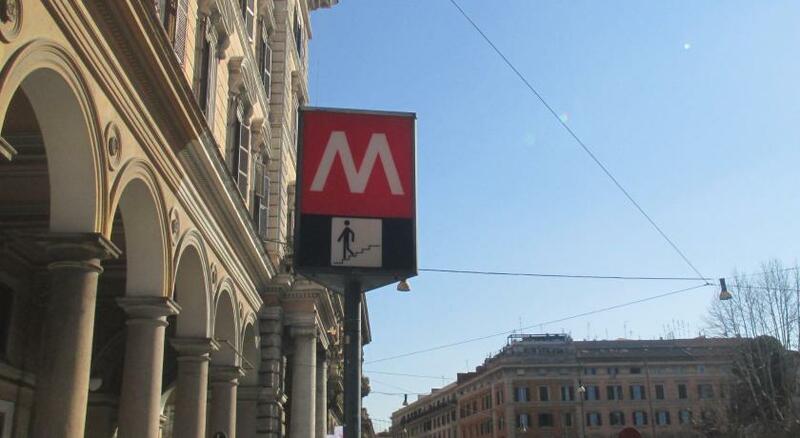 All Rome’s landmarks such as the Spanish Steps, Piazza Navona or Vatican City can be easily reached by metro. 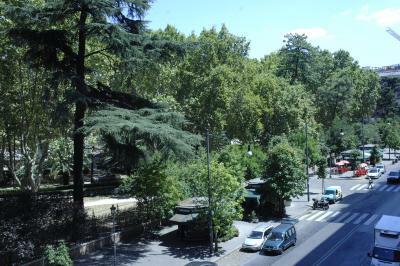 Fiumicino Airport is a 25-minute drive away. 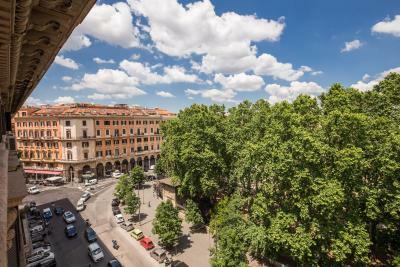 뀐 This property is in the real heart of Rome! 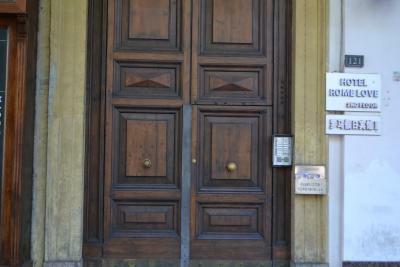 When would you like to stay at B&B Drago D'Oro? 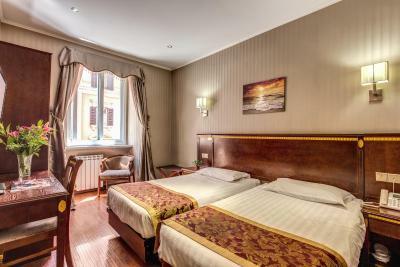 Offering free Wi-Fi and air conditioning, this classic-style room features a satellite TV, mini-bar and private bathroom. House Rules B&B Drago D'Oro takes special requests – add in the next step! ATM card B&amp;B Drago D&#39;Oro accepts these cards and reserves the right to temporarily hold an amount prior to arrival. B&B Drago D'Oro accepts these cards and reserves the right to temporarily hold an amount prior to arrival. 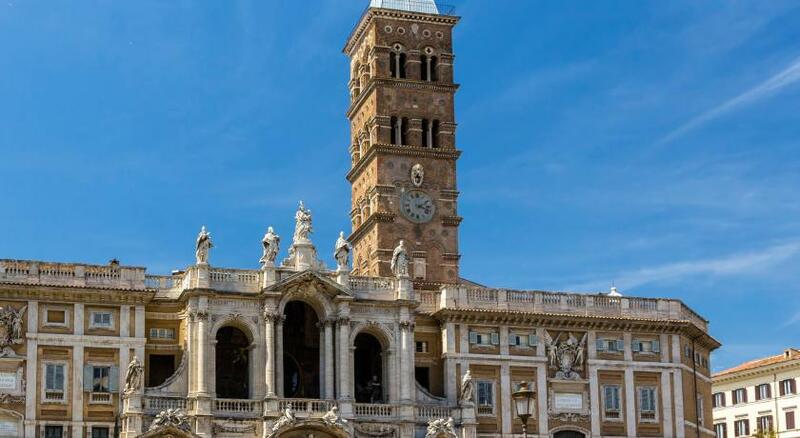 Please note that check-in takes place at the partner Hotel Rome Love, Piazza Vittorio Emanuele II 121. 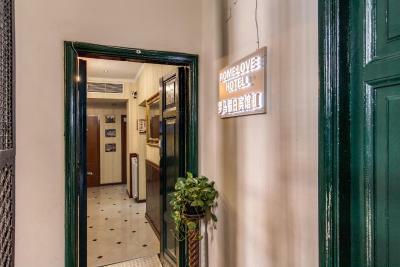 The hotel is set in the same building. Didnt like finding hair around like in the blankets or toiletries basket. 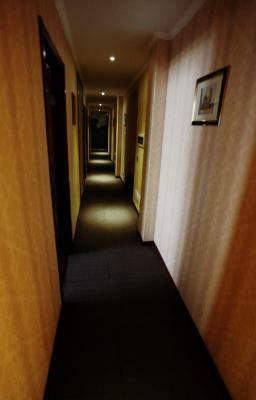 Also the walls are thin and you could hear people from the other room so you might have trouble sleeping . 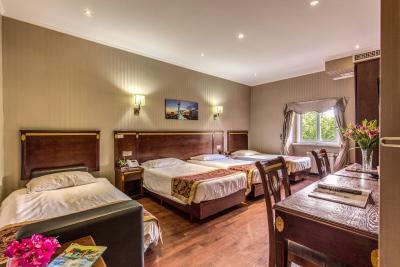 Staff were very friendly and helpful, rooms were clean and comfortable and location was great with a metro station right outside. It was hard to find a hotel. I would like to have a balcony in the room. Comfortable bed. The room had everything needed. It states breakfast included in the room. We were told it would be next door for an extra 3 euros each because they don't do breakfast. Strange place to find. Have to press door buzzer to get in and keep handing key in on 2nd floor every time you went out. Being on 5th floor, was a bit inconvenient. Husband used stairs but not ideal if you struggle to walk. As its a B&B, thought it came with breakfast. Everything was excellent, staff was friendly. There was a lift for your luggage too. 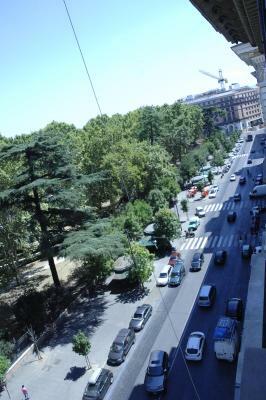 Do take note the hotel is Hotel Rome Love. Take Exit A from Vittorio Emanuele building on the right after crossing the side street. The only criticism I have is that is quite hard to find. We arrived by taxi and were dropped off right in front of the hotel and neither my friend, the cab driver nor I could see a recognizable sign. Fortunately, the manager came by, saw our confusion and ushered us inside. 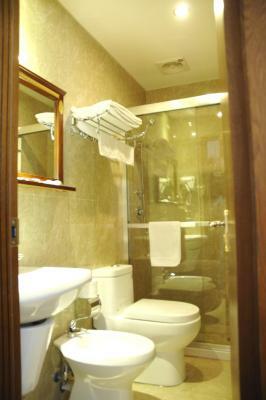 Staff were very helpful, localization was very good 50 m from metro, room very comfortable with all needed staff.